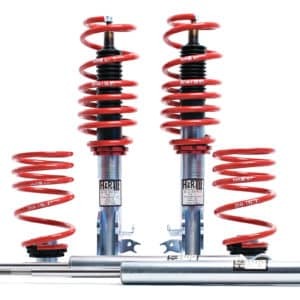 Coilover Conversion Kit (CCK) for H&R DeepThe CCK coilover Conversion kit allows you to utilise the superior damping of your H&R strut while converting to a full air system. This is done by removing the springs and fitting the bar over coil which seals the strut. You can either use original top mounts or select the option to keep or add adjustable camber top mounts. This means you can enjoy the ride quality of the H&R strut, have the height adjustability of air but also get the ultimate drop due the shortened H&R strut design. ( lowering depends of H&R deep version you have ). We can offer a range of air management systems to accompany this product. 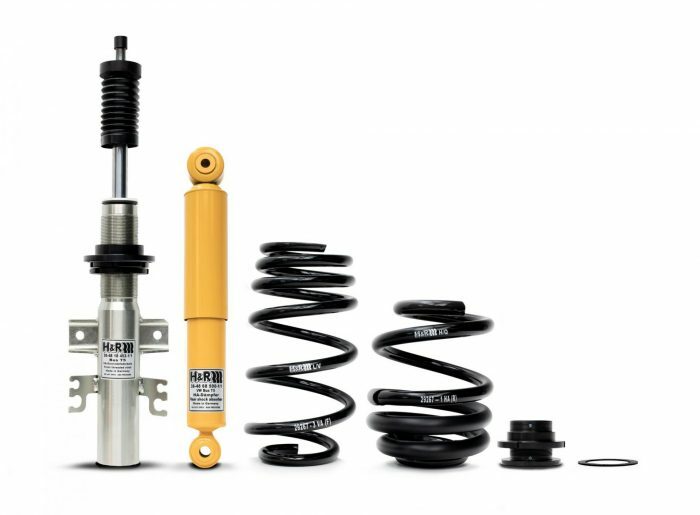 If you want to go really low the H&R Deep Coilover Kit is the one for you. H&R’s Deep Kits are derived from the suspension specialist’s championship-winning Race Kits and Ultra Low kits. They’re designed to improve performance when wound down. A Deep Kit will ensure you’re the low without sacrificing handling or ride quality. Another benefit of having a low coilover that you dont need to use all the threads means more damper travel and better wheel clearance, StillStatic is the official UK reseller for H&R Deep Kits so we offer the correct advice and fitment. The Deep Kits utilise Bilstein’s renowned monotube damper technology and in some applications damping adjustment , the same technology used by BMW’s official DTM teams. The steel dampers benefit from a triple-galvanised coating as well as H&R’s own special protective layer to hold back corrosion. Combined with H&R’s modular spring technology the Deep Kits offer unrivalled ride quality and comfort. All kits are height adjustable and depending on the application offer damping adjustability too. Some applications are in a black finish where possible others are silver so also look quality. Applications vary according to platform but with some chassis lowering of 160mm is possible. Please contact us if you are unsure of your chassis type, and how low you want the suspension. All suspension is made to order approx 2-3 weeks. Please get in contact with us if you have any further enquiries. Remember, we’re not limited to the products you see on this site. We can undertake all manner of solutions - so get in contact, tell us your idea and let us help you bring it to life!